The end of January was one of those weeks when all you want to do is hide under the duvet. After the relief on Monday of learning that I wasn’t going to be out of a job, came the shock of learning which of my colleagues would not be so lucky. There isn’t any good way to tell someone they are being made redundant. It doesn’t matter how rationale the explanation, there’s still that feeling of ‘why me?’. And for the ones left behind, a touch of guilt that they somehow survived, and their friend didn’t. With all of that going on, I really couldn’t summon up a load of enthusiasm for reading or blogging. It didn’t help that one of the books I’m reading has turned out to be a disappointment. I chose Peter Ackroyd’s Clerkenwell Tales to represent England in my Reading along the Prime Meridian challenge on the basis that it’s set in London which is where the Prime Meridian is deemed to begin. I also knew from reading Hawskmoor many years ago that Ackroyd is very skilled at conveying the spirit and history of the city. But it’s turned out to be not as riveting as I’d hoped. It’s great at conjuring up the smells and atmosphere of the place towards the end of the fourteenth century and conveying details about the attitudes of its citizens. It’s meant to be about a plot to destabilise the country which is already in crisis with the threat of civil war, a story told in fragments by multiple participants. The character list is the same as that found in Chaucer’s Canterbury Tales except that Ackroyd’s figures never really go anywhere. Problem is that this device means we don’t really get to know any character in depth so its hard to feel engaged with them. I’ll finish it (it’s not a very long book) and hope that the other Ackroyd I plan to read – English Voices – is a more rewarding experience. I did manage to finish A S Byatt’s Possession well ahead of the Book Club meeting middle of this month so that gives me plenty of time to think of some discussion topics. I’m confident we’re going to get some very mixed reactions to the book. You can find my thoughts in the review I posted. When a writer dies, should their private lives die with them? Or should they become the possessions of academics and enthusiasts, to be collected, catalogued and analysed like laboratory specimens. Possession in all its manifestations — physical, spiritual, emotional — is the focus of A S Byatt’s 1990 Booker winning novel. The more you read it, the more forms of possession become apparent: legal ownership of correspondence and creative work; obsession with words; control of one’s history; exertion of influence; emotional disturbance. The first example comes only a few pages into the story when a postgraduate researcher uncovers some letters which hint at a secret relationship between the Victorian poets Randolph Henry Ash and Christabel LaMotte. He steals them and also hides his discovery from his boss. Instead he teams up with another academic Maud Bailey, who has devoted years to dissecting LaMotte’s work. Together they embark on a quest to discover the truth, piecing the story together from a vast array of sources, including letters, journal entries and field trips to Yorkshire and France. But they are not the only ones in pursuit. From across the Atlantic come Professor Leonora Stern, an avid feminist who is possessed by LaMotte’s supposed lesbian tendencies and Mortimer Cropper, a scholar-collector who is hell-bent on acquiring everything once owned by Ash and shipping it to the USA. In the background there is Cropper’s arch rival Professor James Blackadder, editor of Ash’s Complete Works who is determined to preserve all of Ash’s work in England. Ranged against them all is the determination of Ash’s widow to preserve her husband’s secret. What ensues is a cross between the tradition of the romance adventure with its battle between good and bad and the tradition of a mystery story where the characters have to follow a trail of clues to find the solution. Byatt skillfully weaves these (or to use Byatt’s own description of ‘a piece of knitting’) into two parallel stories. The painful Victorian love story of Ash and LaMotte, retold through their poems and letters, has its counterpoint in the present-day story of Mitchell and Bailey, whose academic partnership slowly grows into love. Their stories are intertwined so objects from one era reappear in the other — a Victorian jet brooch that Maud wears for example — and the two pairs of lovers share similar behaviours; so Roland’s admiration for Maud’s hair parallels Ash’s fascination with LaMotte’s tresses. 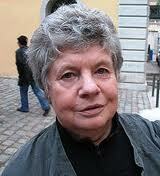 Byatt’s versatility as a writer is evident in the multiple narrative styles found in Possession. She wrote all the poems herself, a task which required her to adopt different voices and styles for each of her Victorian poets – so successful was she that many readers apparently believed Ash and La Motte were real. Her publishers were not so convinced, fearing that readers would find the the inclusion of so many poems too intrusive and a distraction from the mystery story. I didn’t find them distracting so much as tedious. I’m not a fan of poetry which relies on my knowledge of myths and legends, nor do I enjoy poems which use over-blown language. Both Ash and LaMotte were guilty on both counts – many of their poems were just so dire I skipped them. Nor did I appreciate the long, and frankly often very tedious, passages in the letters between these two poets in which they discussed layers of meaning in Nordic myths. If this is how writers in their era talked to each other, I can’t imagine I’d enjoy spending much time in their company. Was Byatt making fun of them in the same way she ridiculed the academic world for its dogged pursuit of apparently trivial knowledge? I still wasn’t sure by the time I finished reading. I can’t say that reading Possession was a deeply enjoyable experience. I admired Byatt’s command of language and her ability to tell a story but never felt her contemporary characters came alive in the same way as the Victorians did or that the inclusion of so much poetry really enhanced the book.